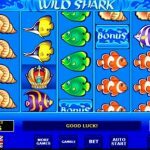 The Wild Shark slot is a classic online slot game that continues to enthrall Bitcoin gambling players with its 50 pay lines and large wins. 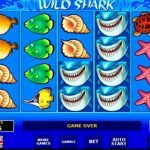 Wild Shark is a classic slot game originally released for the land-based video slot machines, but it fortunately found its way to online gambling and finally to Bitcoin gambling. This game developed by Amatic Industries, one of the top software providers in iGaming today. 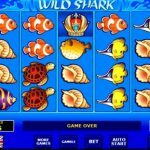 Although categorized as old-school when compared to the graphics of today’s games, Wild Shark’s rich colors found on its graphics and animations make the game attractive and entertaining. 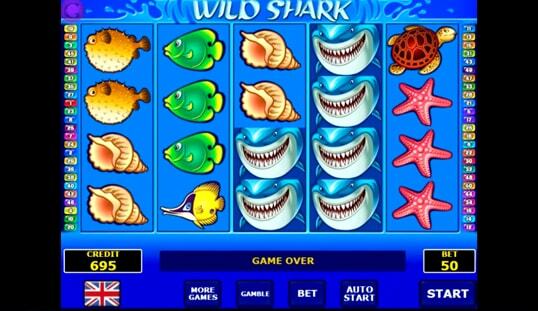 The Wild Shark Bitcoin slot features vibrant displays and high-quality graphics that are at par with the majority of the slot games online. Add to the picture the upbeat and exciting sound effects and music that suddenly play every time you catch a winning combination. With fantastic visuals and engaging sounds, this game gets the nod. 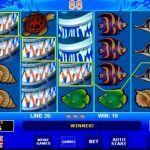 Wild Shark slot has simple-to-follow instructions, and this is one of its advantages. Adding to its overall appeal are the desirable game features like the availability of 50 pay lines that can be activated. With these many pay lines, the chances of having more line wins are higher, magnifying the winning potential. Ten regular symbols are present on the reels, along with the two special symbols—the Bonus and Wild symbols. While the Wild, which is represented by the image of a shark, functions like most Wilds that substitute for any of the regular symbols, the Bonus symbol can grant players with 5 credits when three of them appear on any position. Moreover, it can activate Bonus spins when it appears on the second, third, and fourth reels. 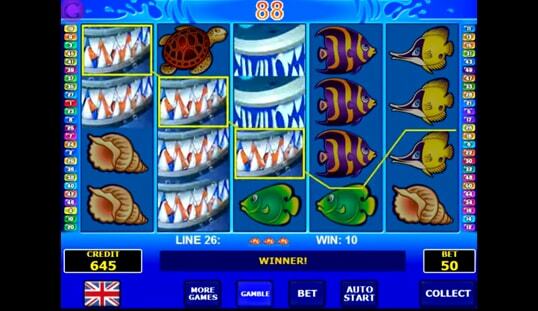 Triggered by the Bonus symbol, The Wild Shark slot has the power to extend the Bonus spins once it appears on the middle reel. Although this extra feature may not be as grand as some of the Bonus games or free spins found in some of the Bitcoin slots online, it is more than enough to complement the high winning potential of every player due to its 50 playable lines. 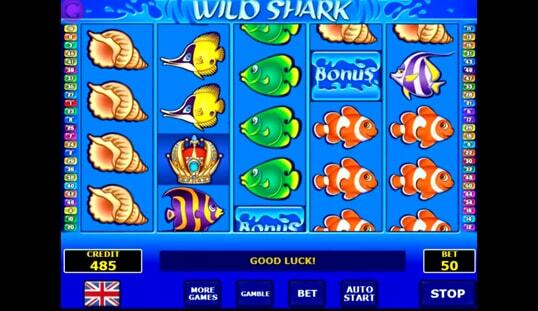 Other than better graphics as compared to the classic slots produced by Amatic, the Wild Shark Bitcoin slot also highlights the user-friendliness of its interface and the higher prizes up for grabs. 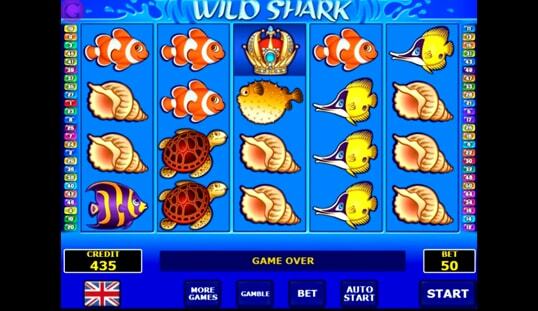 Play Wild Shark with Bitcoin when you try your luck on 7BitCasino, Princess Star Casino, or BetChain Casino.